Hong Kong, a place generally thought of as the Oriental Pearl, has suffered from unrest and disorder in recent years. 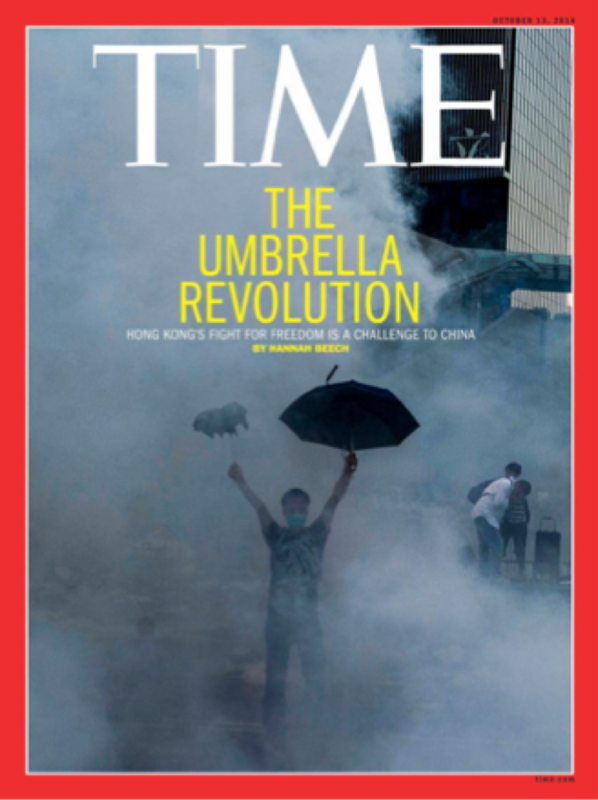 The most famous of these movements is the Umbrella Movement of 2014, which made the cover of Time magazine. Several subsequent, but lesser known examples would include a somewhat violent attempt to interfere with Legislative Council proceedings and the ‘Fishball Revolution” in Mong Kok. Many of these movements were caused by dissatisfaction with the Chinese authorities’ suspected infiltrations of local politics, e.g. the Umbrella Movement was a response against suspected Chinese influences in local election laws. While many believe the recent chaos has been caused by a standoff between the Chinese authorities and the Hong Kong locals, this might not necessarily be the case. To give a brief background of this tension, Hong Kong was ceded to the British for over a hundred years following China’s defeat in the Opium Wars. Upon its return to the Chinese government in 1997, Hong Kong became a Special Administrative Region with its own set of laws, allowing it to remain capitalist and democratic even if the Chinese Republic is supposedly socialist and authoritarian. A diachronic analysis of the situation would point to the fact that the chaos and disorder in Hong Kong in recent years, contrary to public understanding, is not so much a battle between the Chinese government (or its allies) and the Hong Kong locals, but more of a battle between ideologies—a battle between neoliberalism and the desire for a welfare government. One glance at the last Policy Address sheds light on the government’s neoliberal leanings. Housing, a top concern of the society, and justly so considering how Hong Kong has consistently topped the charts when it comes to rents (in some analysis even higher than London, see Business Insider, UK, 2017), has been dealt with in an alarmingly Thatcher-like fashion by the government. Instead of building more affordable housing, the government proposes incentives for the middle-class to buy off public housing. In the contemporary development trend of ‘self-help’ and the hands-off tendency of governments all over the world (Elyachar, 2002), this again shows how powerful neoliberalism has become. As Wacquant (2008) has analysed, a punitive turn usually follows an invasion by neoliberalism. Movements are termed as riots even when they are largely peaceful, and protesters are increasingly brought to court. Police arrests become tools of punishment, an end in itself instead of means (Fassin, 2015), as evident in the battering of the Pro-democracy protester Tsang by seven police officers. Public sentiment turns increasingly nostalgic of the golden years at the end of the 20th Century, when the government provided basic necessities and opportunities were plenty. Many more exhibitions are held showcasing old crafts, old buildings and old ways of life, which is common among areas that have experienced a neoliberal turn, such as in post-Fordist Italy (Muehlebach, 2011), though in Hong Kong this nostalgia is manifested in a more straightforward, artistic way. This conflict between neoliberalism and a desire for welfare lies not only within the government—between the pro-Beijing camp and the pro-democracy camp—but also embodied within many citizens. People fight for more welfare and more rights, which they believe should have been promised to them by ‘democracy’, but are at the same time seriously offended when their economic interests are disrupted. My parents, to cite an example, agreed with the students’ fight for democracy during the Umbrella Movement, but condemned them for blocking the roads— as Girling et. al has written, “understanding without condoning was a common refrain” (1998: 484). However, there are practical difficulties for the government to do both at the same time: to retain minimal government intervention (put down during the colonial years by Sir Philip Haddon-Cave and enshrined in the government’s administrative guide ever since), and to provide extensive welfare. As many keen to travel would know, Hong Kong’s sales tax is close to non-existent; and we offer some of the most generous income and corporate tax rates in the developed world (KPMG, 2018). A major part of the government’s income thus comes from land sales, and for the government to maintain a steady stream of revenue it cannot allocate too much land to the building of public housing. When it was done, the results were disastrous—property prices dropped for over 70% from 1997 to 2003, leaving the property-holding middle-class in desperation. In other words, extensive welfare is essentially incompatible to a big market in Hong Kong. To simply accuse the government of kowtowing to big corporate interests when it sells land to luxury property developers to build villas would be like blaming the South African governments for the bad structural decisions made in New York (Elyachar, 2002). The government is but a scapegoat for neoliberalism, and along that line, we are all complicit in upholding and maintaining the neoliberal discourse. I am certainly not saying that the government has been completely blameless, and I believe some degree of naiveté is involved in its operation. Its way of dealing with dissidents reflected a lack of experience in many officials and I am sure some of the tension within the society today could have been avoided (uploading a selfie during a Legislative Council meeting and calling the opposition party stupid sounds like a low blow). I would, however, like to offer a more unconventional analysis, perhaps in a Marxist fashion, and bring to attention the economic conflict underneath recent incidents. Legislator Ho, taking a picture of the Legislative Council meeting regarding development plans of the Northeastern part of the New Territories, a controversial area adjoining the Chinese mainland. He uploaded the picture onto his Facebook account, which was against the regulations, and called the opposition party “stupid”, “idiotic”, “weak” (self-translation). Source: Mingpao. In the face of an immense amount of public critique of the government, it is important to reflect on the failures of recent movements. They fail not only because they were suppressed by the Hong Kong government, or Chinese authorities. Our sometimes rather inconsistent demands impede progress as well. In Scott’s phenomenal book on development (1998), he proposed four ingredients to a political disaster: a blind faith in scientific ideologies (not science itself), an authoritarian government, legibility of society and a prostrate civil society. I would venture to say that Hong Kong has at least three of these elements. The government believes in high-handed reforms, has a good knowledge of the demography, and people are generally apathetic. Surely, the government has been actively trying to incorporate more voices into political discussion on the one hand, e.g. recruiting more young people into the governmental apparatus, but on the other hand the many petitions sent to it by the public went unheeded. Only a facade of harmony has been maintained. The only thing keeping the society from going downhill according to Scott’s logic seems to be the government’s remaining respect for core democratic values and the handful of activists fighting to keep justice intact. We would still pale in comparison to our mother country, or the neighbour of our mother country to the east when it comes to authoritarian ruling. However, this peace is in danger as long as society is prostrate—prostrate not in the sense that people are not educated, easy to be manipulated, but prostrate in the sense that people are afraid of change, afraid to let go of neoliberalism which is the cause of so many of their sufferings. Like many other places with a colonial background, e.g. Sri Lanka (Nissan and Stirrat, 1990) and Rwanda (Mamdani, 2009), the tension between Hong Kong and the Chinese mainland, bordering to an ‘ethnic’ conflict, is arguably one of colonial legacy. Under the British administration, Hong Kong has grown to become a very different place from the Chinese mainland. Our people have a different way of life, a different language, and different mannerisms (my mum was just remarking on how loud the mainlanders were in the shopping mall, while they probably just came from the rural areas where people are accustomed to shouting across the fields). The difference between the Chinese and people from Hong Kong is largely created by historical circumstances, just like the difference between the Sinhala and the Tamils in Sri Lanka, and that between the Hutu and the Tutsi in Rwanda. There is no innate opposition between the two groups. The real opposition here is that between ideologies, between neoliberalism and welfarism. I do not deny the possibility to reconcile the two in the future, but for now, to demand more government support while defending the freedom of the market sounds rather hypocritical to me. Elyachar, J. (2002). “Empowerment Money: The World Bank, Non-Governmental Organizations, and the Value of Culture in Egypt”, Public Culture, 14 (3), pp. 493-513. Fassin, D. (2015). At the Heart of the State: the Moral World of Institutions. London: Pluto Press, pp. 93-116. Girling, E., Loader, I., and Sparks, R. (1998). “A Telling Tale: A Case of Vigilantism and Its Aftermath in an English Town”, The British Journal of Sociology, 49 (3), pp. 474-490. Mamdani, M. (2009). “Making Sense of Political Violence in Post-Colonial Africa”, Socialist Register, 39, pp. 132-151. Muehlebach, A. (2011). “On Affective Labour in Post-Fordist Italy”, Cultural Anthropology, 26 (1), pp. 59-82. Nissan, E. and Stirrat, R. (1990). Sri Lanka: History and the Roots of Conflict. London: Routledge. Wacquant, L. (2008). “Ordering Insecurity: Social Polarization and the Punitive Upsurge”, Radical Philosophy Review, 11 (1), pp. 1-19.